boomer and bubbles baby. . Wallpaper and background images in the Powerpuff Girls and Rowdyruff Boys club tagged: boomer ppg. CUTE BABY! WHATS HIS NAME? WAIT! 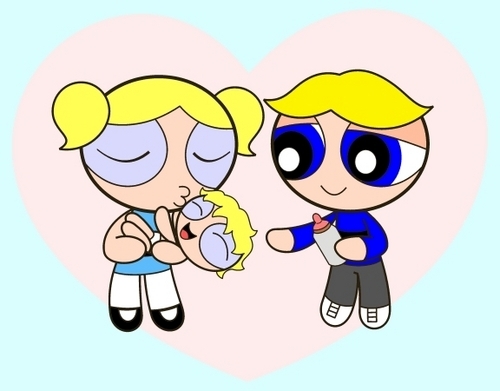 B+B ARE KIDS STILL!¡ BUBBLES IS STILL FLAT CHESTED AND DOESNT HAVE HER PERIOD YET! I thought the baby's name was Buddy. I THINK ITS STUPID,DUMB AND REALLY REALLY LAME!